Dubai Taxi Corporation has deployed 50 Tesla electric cars to its fleet of limousine taxis. HH Sheikh Ahmed bin Saeed Al Maktoum, chairman of Dubai Supreme Council of Energy and chairman and CEO of Emirates Group and president of Dubai Civil Aviation Authority, launched the operation of the electric vehicles earlier this month. The 50 Teslas are fitted with self-driving features and are part of a 200-car deal signed with Tesla in February, Dubai Roads and Transport Authority (RTA) director general Mattar Al Tayer said. Incorporating the cars into the national taxi fleet is part of Dubai’s plans to become one of the smartest cities in the world. It meets the directives of the Dubai Smart Autonomous Mobility Strategy, which aims to convert 25 percent of total journeys in Dubai into driverless journeys by 2030. Al Tayer said: “The RTA has recently taken delivery of 50 Tesla vehicles as part of a deal for 200 vehicles signed last February on the sidelines of the World Government Summit 2017. “Accordingly, 75 vehicles will be supplied in 2018, and 75 others to be delivered in 2019. Two Tesla models have been contracted by the RTA – (S) from Sedan and (X) from SUVs. The (S) model had achieved the highest possible safety rating of any electric car at the time of its launch, the authority said. 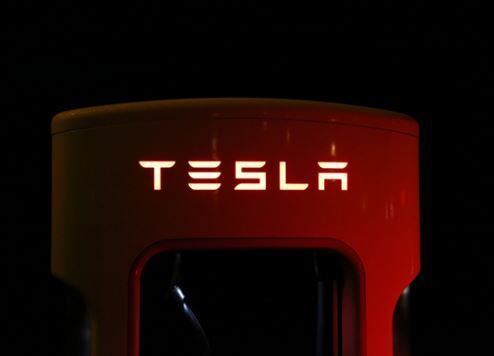 Tesla opened its first electric vehicle showroom in Dubai in July. The 17,000sq ft retail store and service centre is located on Sheikh Zayed Road.